Just Build Me A Website : What About the Blueprint? The web industry (let's get real, "industries" is more appropriate since it's never been monolithic) changes at breakneck speed. You are not pigeon-holed or without options for how to build a website. On the contrary you are faced with a dizzying array of choices; so many that the average small to medium size business or organization is not equipped to know how to appropriately navigate these options to guarantee the success of the website they end up building. I plan to write posts providing the breakdown of the pros and cons of various building techniques, but this article is meant to address something more important than the build: The Blueprint. Many people assume all that matters is having your website up and running. The oversimplification of a website into a digital business card results in just that: a digital business card. What do you do with a business card once you've seen it and stored the number in your phone? You throw it away. Oh, and who shares business cards with each other? It's a cultural trend, people don't share business cards for the same reason people won't share digital business cards: who cares? Ah, Business cards! The Illusion of Legitimization. There have never been more options for creating digital business cards; and if you are running a business that is unconcerned with any of the following, then by all means, make no plans other than to build a repository of text that shoved into some type of visual theme. Let's compare building a website to building a house. Imagine a man decided, " I just want a house. Let's get this thing built. My wife needs a place for her clothes. I've got a kid on the way, etc." All of these things may be true, but they ultimately have nothing to do with actually building a house. The motivations for needing/wanting a house have nothing to do with it's construction (although they will necessarily determine its eventual usage). This man would be ill-informed at best and ridiculous at worst to go to a contractor and just say: "Build me a house." Can you imagine the costs? Can you imagine the outrageous situations that would arise when the man comes to check on the contractor's progress? "No, I wanted a bathroom over there." Contractor says, "No sweat. I'll just knock this wall down ($$), I'll rebuild the necessary connections there ($$), and I'll restart on the bathroom from scratch ($$)." As absurd as this parable is, I see business owners make the same types of decisions in regards to building their website. Every house needs a blueprint; just like contractors, code is costly. The wise home owner doesn't balk at having to pay for plans: he knows they are in fact MORE cost-effective than attempting to build without a plan. So whether you are going build your website with a DIY sitebuilder, or hire a New York Development firm, you need a plan.  We at Triple Helix Creative are professionals experienced in formulating the strategies necessary to ensure the success of your website. For more information on our Web Blueprints, go here.